"Seriously??? 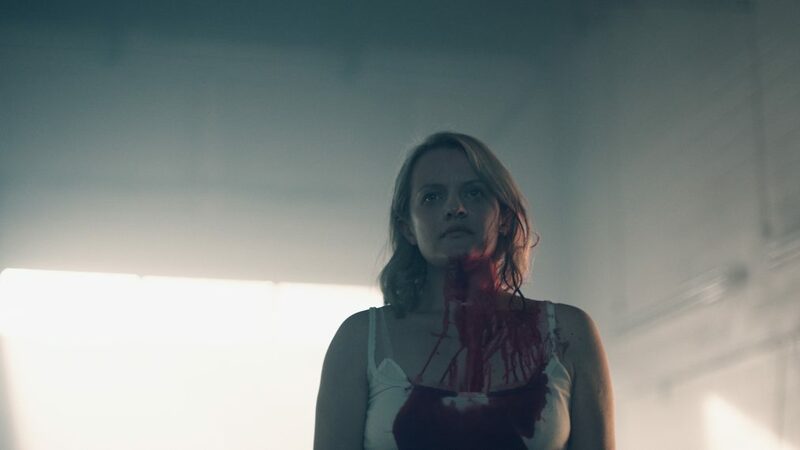 What the actual f---"
That phrase from Offred (Elisabeth Moss), who is cut off before she finishes it, ends the brief new trailer for The Handmaid's Tale Season 2 that Hulu dropped on Thursday, along with the teaser promotional art seen below. And there have likely been plenty of people who have also similarly wondered "What the actual f**k????" when it comes to the male-dominated theocracy of Gilead chronicled in the acclaimed series based on Margaret Atwood's novel. Offred's use of the phrase comes at the end of a trailer that shows the strength and determination of the oppressed women of Gilead, as Offred's voice overlays the scenes with a sarcastic reading of the rules that women of Gilead are expected to follow. In the scenes, some of the women are fighting back against those rules, in some cases physically, in other cases at least in words, and most importantly, in their minds. It's fitting that the trailer was released on International Women's Day, and if this is just a sampling of what's to come in Season 2, we really can't wait now. According to Hulu, Season 2 of The Handmaid's Tale is "shaped by Offred’s pregnancy and her ongoing fight to free her future child from the dystopian horrors of Gilead. 'Gilead is within you' is a favorite saying of Aunt Lydia. In Season Two, Offred and all our characters will fight against – or succumb to – this dark truth." And maybe they'll provide Aunt Lydia with a new saying of their own. Because, seriously -- what the actual f**k? The first two episodes of The Handmaid's Tale Season 2 will be available on Hulu Wednesday, April 25.